The City of Bellevue has created a plan to expand and restore Meydenbauer Beach Park and to connect the Lake Washington waterfront with downtown Bellevue. Enhancements to the park and nearby streetscape improvements will create a pleasant place to walk, socialize and enjoy the water. 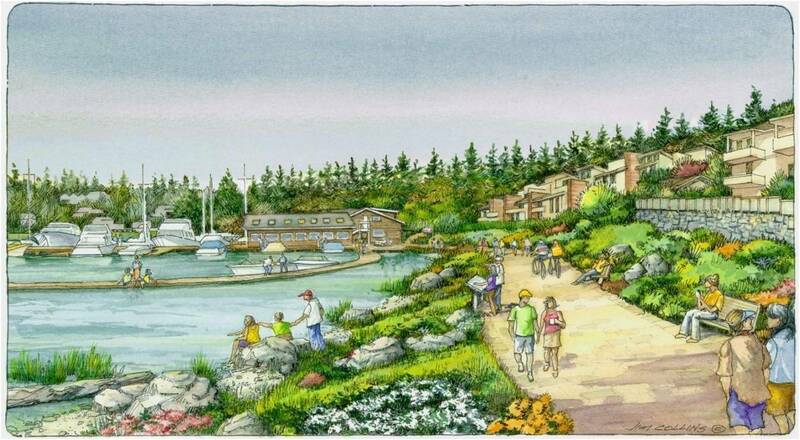 The project will restore 800 feet of shoreline along Meydenbauer Bay, improving salmon habitat. View from downtown Bellevue currently and after the park is built. After a lengthy planning process, the Bellevue City Council unanimously adopted a plan for the park in December 2010. The park plan can be found on the City’s web site. Fehrman said it will be some years before property acquisition bonds are paid off and the project can move forward. 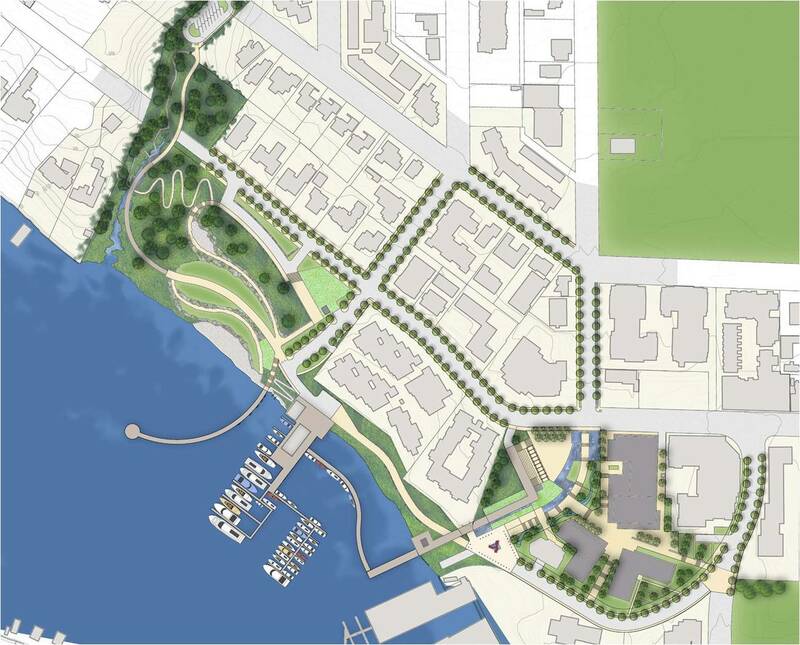 Remove shoreline armoring and several small piers along the central waterfront. Restore the shoreline to a more natural state with a gradual slope and native plantings. Daylight the creek (currently in a culvert) at the west end of the park and enhance native vegetation. This will cleanse stormwater before it reaches the bay and provide shallow fish habitat at the creek mouth. Close two piers to reduce the hardened shoreline, and lengthen a third pier to allow more transient moorage and access for kayaks and canoes. This will reduce overwater coverage by 30 percent. Close two streets (100th Avenue SE/SE Bellevue Place) to vehicle traffic near the water, and replace them with plazas, terraces, walkways and stairways with water features and public art. Add two underground structures to provide on-site parking. Add a new activities building and retain two historical buildings, while reducing overall building footprint by 58 percent. What’s up colleagues, its impressive piece of wrkting regarding educationand completely explained, keep it uup all the time.